﻿ U.S. 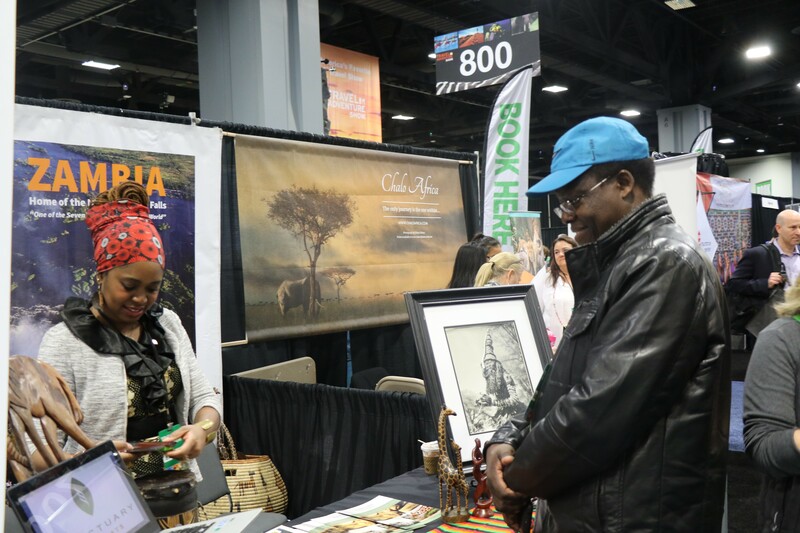 Tourists Flock The Zambian Stand At The Washington D.C Travel And Adventure Show | Embassy of the Republic of Zambia in Washington, D.C.
Dr. Simbyakula said this when he visited the Zambian stand at this year’s Washington D.C, Travel and Adventure show over the weekend which attracted over 25,000 attendees. He said it was gratifying to see the Embassy’s participation at the show. The Ambassador has since commended the Zambia Tourism Agency (ZTA) for availing the Embassy with promotional materials that saw the Mission successfully participate at the event. Dr Simbyakula said the travel Shows provide an opportunity for travelers to congregate, learn, plan, and book their next holidays. He further urged ZTA to regularly avail the Embassy with current promotional materials and information to satisfy the U.S. market. 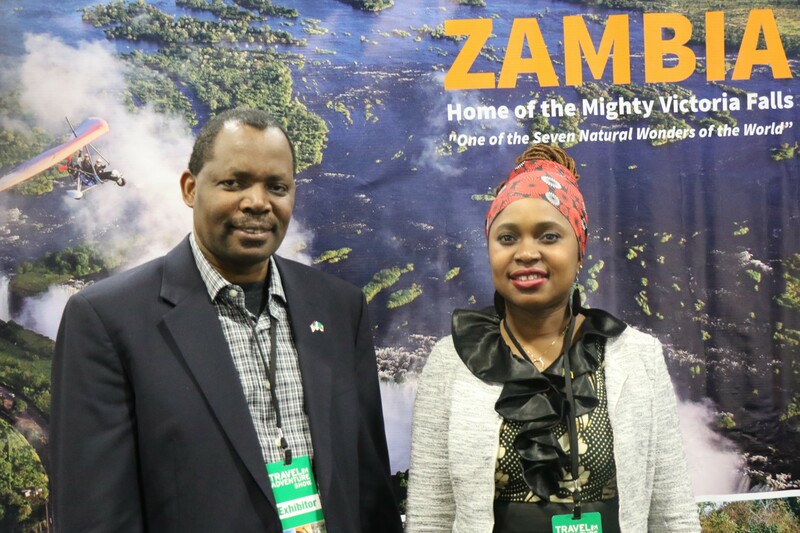 And First Secretary Tourism Marsha Holdway said the Zambian booth attracted a considerable number of tour operators, travel Agents, travel writers and journalists among others. Mrs. Holdway urged tourists wishing to go to Zambia on Safari and see the Victoria Falls, to visit various tourist sites in the country and enjoy the hospitality the industry offers. 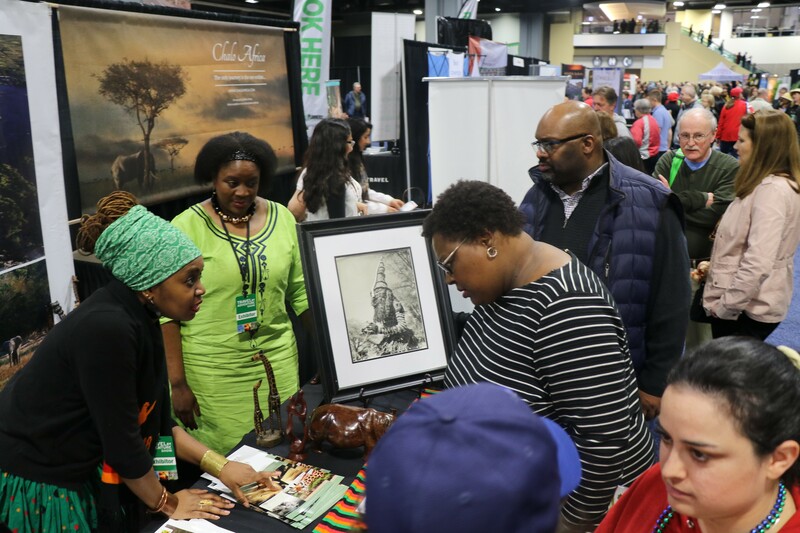 “Americans have a culture of vacationing so it is a strategy to have a presence at well-known and well attended events such as this in order to make inroads with selling Zambia as a leading tourist destination,” she said. Meanwhile, Sustainable Tourism Development, President Scott Wayne, who participated in developing Zambia’s Tourism Policy through the World Bank, also visited the stand. Mr. Wayne said it was satisfying to see that Zambia’s tourism policy is being implemented as evidenced by Zambia’s presence at this year’s show. 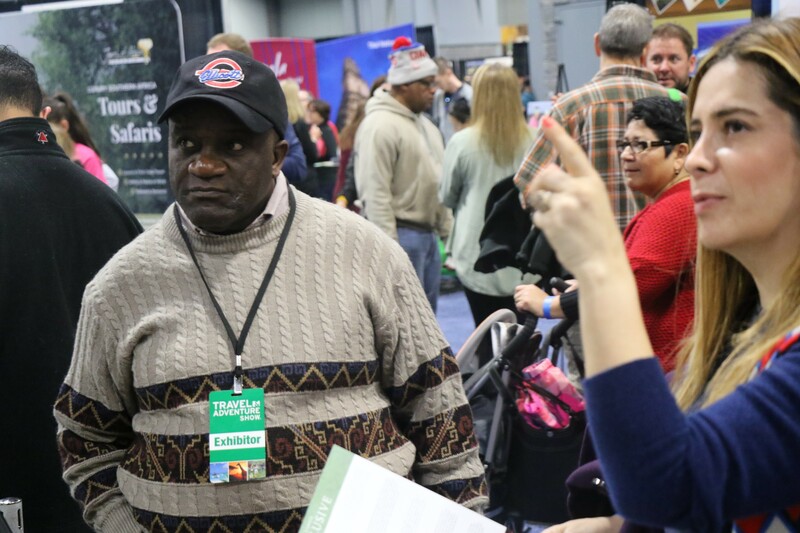 The Travel and Adventure Show is the biggest travel event in Washington DC and one of the top five in the USA. The Embassy is also scheduled to participate in the Chicago and Los Angeles travel shows next month.